Should You Rent a Car For Long Trips? Most Americans think that it is more practical and wiser to rent a car than drive their own when going on a long road trip. The top reason is to save their own cars from wear and tear. Another factor is because they want to save money by booking a rented vehicle that has better gas mileage than their own car and also because they want to avoid adding mileage to their own vehicle's odometer that could reduce its value. This holiday season, whatever your reason for hitting the road — whether it's a long drive to see a few friends and relatives, an extended trip to explore nature, or you just want to experience some of America's best road trips — you might want to consider renting a car than driving your own vehicle. Why is it better to rent a car for long trips? Here are a few advantages and tips to take into consideration why renting a car for a long trip is way better than driving your own. Taking long road trips can be bad for your car and could lead to future repairs. Just imagine driving your own car from Chicago to Denver. The distance from Chicago to Denver is about 1,300 miles, and usually takes approximately 19 hours to drive. 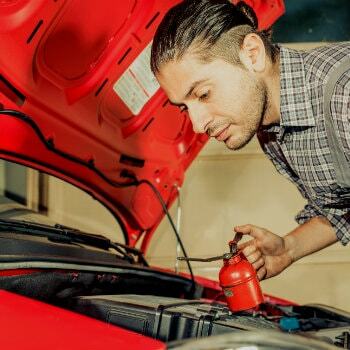 So if you feel your vehicle is not reliable enough, definitely consider renting. Older vehicle are more likely to breakdown. For the wear and tear, renting a car seems a no-brainer especially if you can get it at a good enough price. You could save money if you rent a car that is more fuel-efficient than your own vehicle. Of course, this will depend on the car availability as well as the rental rate you are able to get. Keep in mind also that you could save money on a one-way car rental by experimenting with different pick-up and drop-off locations. When going on a long trip, renting a car is often cheaper instead of your own. However, bear in mind that the decision to rent a car depends on a variety of factors. These include the trip's mileage, fuel efficiency, tire wear, leasing costs, as well as oil change prices and depreciation. The road trip calculator can help you decide if you should rent a car for your next road trip. Please note, however, that calculation can only be used as a reference since all vehicles have different levels of fuel consumption. Consider booking through a comparison car rental website like VroomVroomVroom. A wide variety of high quality, reliable vehicles to choose from are available to rent — everything from an economy-sized Chevrolet to a full size Ford Escape and even an 8-seater family van. Whether you want to enjoy the ultimate California road trip, relax and soak up the culture on the Connecticut Coast Scenic Drive, explore all the state of New York, or enjoy a weekend of driving in Hawaii – booking with us can make your trip a lot easier and less stressful. Please note that rental prices usually vary depending on the model. For example, a high-end sedan or sports car is more expensive, while a small economy car costs less. Even the charges vary per day. Based on the recent finding from Consumer Reports, it showed that a one-week rental for a midsize car ranged from $258 to $478. Wherever you go, don't forget to have fun along the way. After all, renting a car is all about enjoying the road trip. Last tip: Be sure to know your coverage as insurance requirements vary from state to state. Read our Car Rental Insurance for Non Residents to know more. For additional car rental tips and tricks, check out our Car Rental Tips in the USA.